Most of us are no stranger to pain, be it a muscle or joint pain, or the ones due to awkward postures. However, when the pain is persistent and interferes with our daily lives, it’s time to seek medical attention. Pain associated with knees, shoulder and hips were earlier a thing of old age unless caused due to an accident or injury. With the changing lifestyles and demands of our working environment now, they are found in most people in varying degrees of intensity, irrespective of the age. While the causes of joint pains in the young population can be attributed to improper posture and stiffness due to a constant position, in the old they may be a result of wear and tear. Arthritis, rheumatic diseases, lupus, certain deformities and strain due to heavy workload are some other causes of the disease. Persistent pain irrespective of movement. The treatment for pain includes the treatment to relieve the symptoms as well as to correct the condition. A treatment procedure chosen depends on the intensity of the issue, cause of pain and age of the patient. 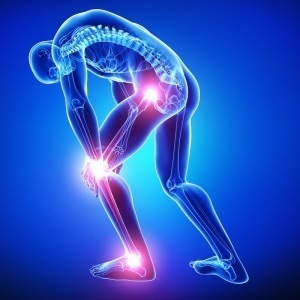 The common treatment regimen include medication for pain relief and to minimize the discomfort. They are administered orally or injected into the bloodstream. Corticosteroid injections are administered as well in case of severe pain and swelling. Other treatment options include physical therapy consisting of a set of exercises to increase joint and muscle strength. Compression bandages are also used in case of shoulder or knee pain in order to immobilise the joint area. Surgery is the ultimate treatment to correct the pain causing conditions when other modes of treatment fail to bring about a result.